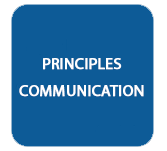 What is Principles of Communication Tutorial? In this tutorial, the elementary concepts of communications along with the significant concepts of analog and digital communications have been enclosed. This lecture is useful for students who desire to obtain knowledge on the communication systems. There are a small number of topics in this tutorial covering the concepts of digital communications, which are richly debated in our Digital Communication tutorial. This tutorial is arranged for students who are interested in the fundamentals of communications and who aim to obtain knowledge regarding analog and digital communications. To advantage from this tutorial, basic knowledge of the terms involved in Electronics and Communications would be a more benefit.